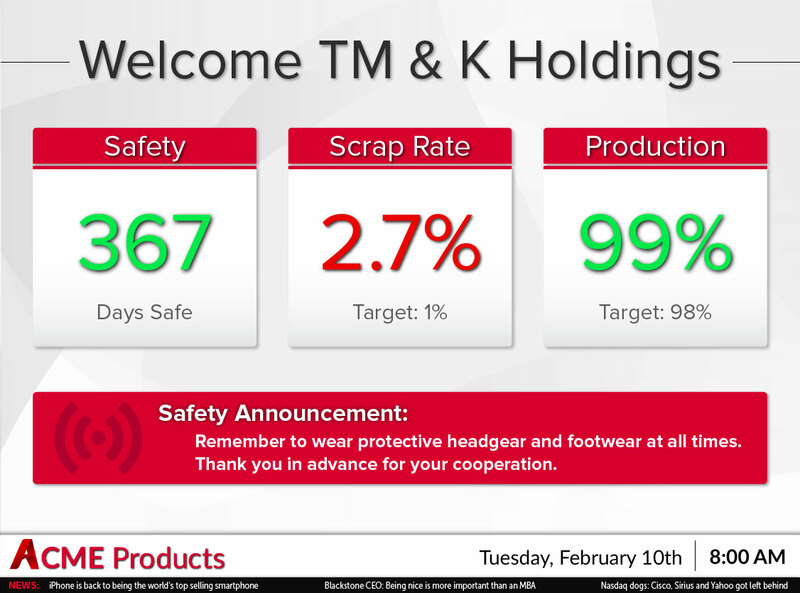 KPI & Metrics Displays allow you to drive employee engagement by providing real-time data and insight. Define and measure progress towards company initiatives. Spot and address problems as they happen, before they become larger problems. Align your workforce to meet goals, and improve the production quality, speed, and overall efficiency of your operation. Most importantly, maintain a safe working environment for your team. 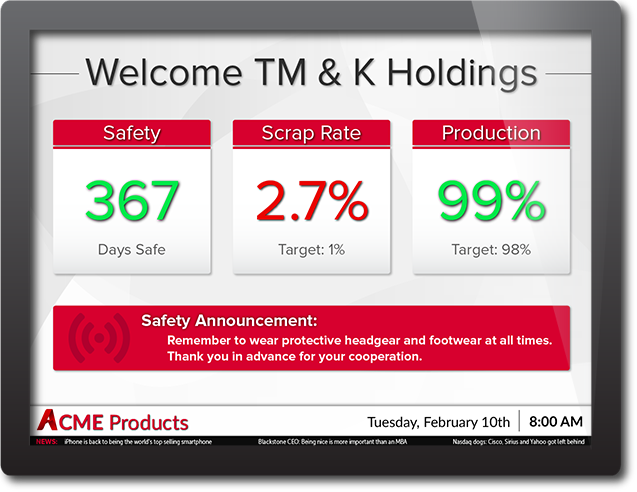 Our KPI digital signage is the perfect solution to increase results in manufacturing, sales, and corporate communications — among many other applications.